As advertisers continue to find new ways to reach consumers – through music apps, vehicle wraps, and even at gas station pumps – those consumers start to build immunity to constant advertising efforts. Customer acquisition can be difficult with the amount of competition in today’s market, and with so many advertising channels at your dispense, the leads you do close can come at a high cost. These are some of the many reasons customer retention and nurturing are so important, and Skype is a great example of a company that’s “doing it right” by monitoring social media engagement and interacting with their users. Marketing never will be a “one size fits all” approach. Each industry, company, and market has to have a specific approach to draw in their target demographic. Skype has a very specific buyer persona. 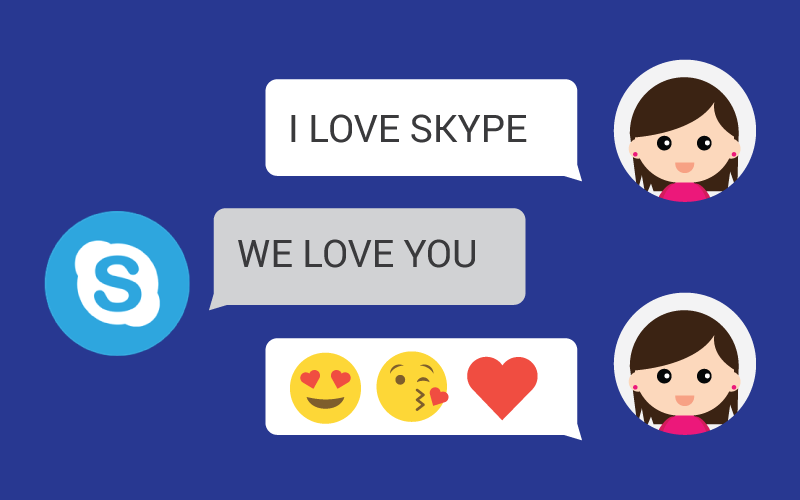 Most of their consumers use Skype to keep in contact with friends and family who live too far away to visit. The company uses Twitter to communicate one-on-one with its consumers at a personal level, just like they did with Allison Boyle. Allison took to Twitter to explain her love for Skype because she gets to communicate with her family but mentions the fact that it makes her cry because she misses them so much. Skype’s social media managers make the right move and console Allison, starting a personal conversation. They asked her about personal matters and expressed how much they care for her as a loyal customer. 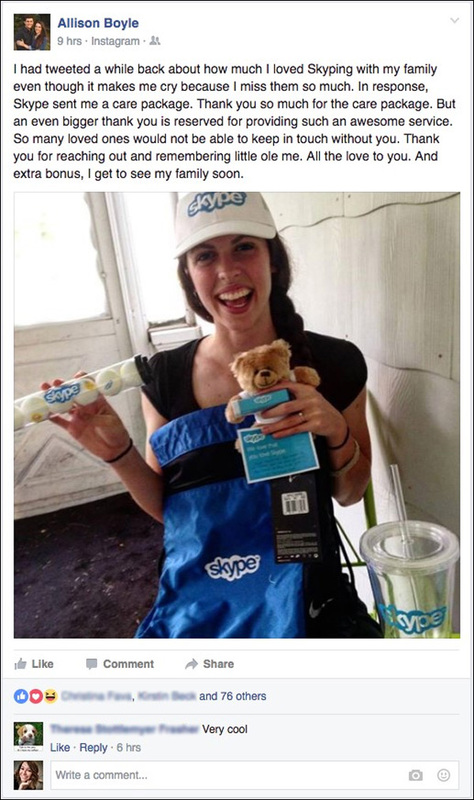 After a few tweets back and forth the conversation comes to a close, but what Skype did next was a great move – they sent Allison a care package. Allison’s post to Facebook got 78 reactions in just 9 hours. Her post was a hit! Not only did Skype build a stronger bond with an already loyal user (and possibly turning her into a brand promoter), but they got Allison to do their promoting for them! This approach has proven to build more followers, increase engagement with the brand, and increase website traffic. Monitoring social media engagement is a great way to build brand recognition and loyalty with your customers, clients, or consumers. If you’re curious about how social media can benefit your business, ask AP Digital about their online reputation management suite and social media services. We will provide your business with a FREE local SEO and social performance report with no obligations.